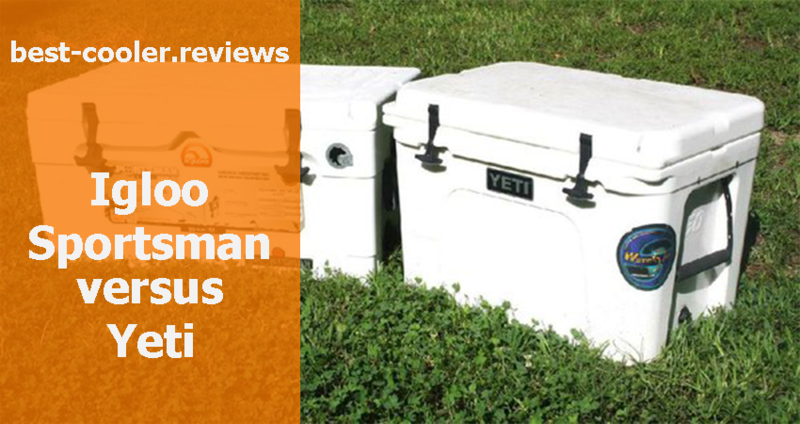 Among people who lead an active lifestyle and can’t imagine their life without travelling, camping, hiking, and so on, there are no one who have not heard about Igloo coolers. These coolers are present at the world coolers market for many years and during the whole this period they occupy the TOP positions in almost every chart. Maybe you will ask how have the Igloo manufacturers managed to achieve such success? Are they making the best coolers ever, or maybe they know certain secret? The answer will be simple- the Igloo manufacturers have reached such tremendous success because of the perfect combination of performance, quality, design, durability and price in each of their coolers. Thanks to such combination nowadays you are able to purchase high-quality product that will serve you during many years at rather cheap price. Alluringly, isn’t it? 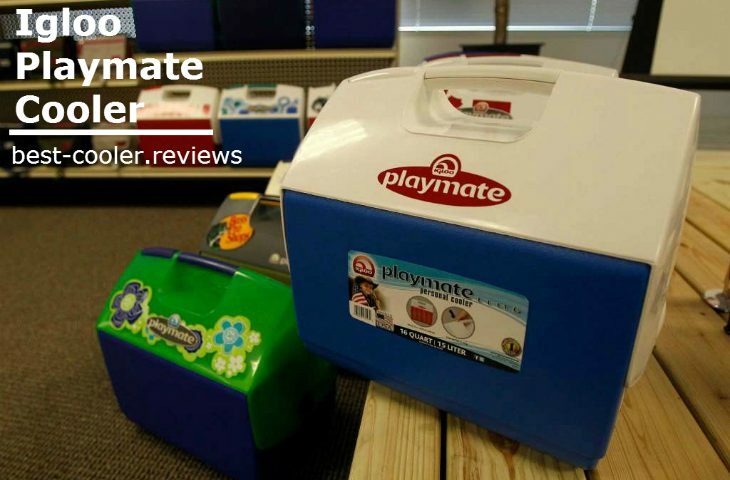 Welcome to the World of Igloo Playmate Coolers. Let’s Compare! 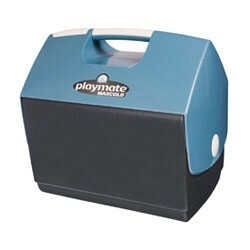 Playmate Cooler. Popularity for Many Years. The representative of Igloo coolers with the name Igloo Playmate cooler has already pass all available test on quality, durability, performance and even time test. You can notice these coolers at the barbecue at your friends’ house, at various picnics outdoors, at camping trips and in many other places as well. 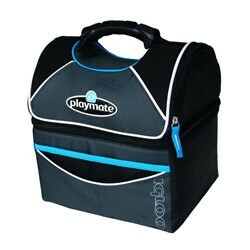 The Igloo Playmate cooler has become like an icon of the cooler’s style. Everybody knows its famous tent-top design, unique lid with the button and molded handle. This cooler has even been noticed by our team in Disney Pixar movie Wall-E in 2008 year. For What Purposes is the Igloo Playmate Ice Chest Created? The lineup of Igloo Playmate coolers includes many options that differ by their size, color, capacity and design. We have prepared a list of all representatives of Igloo Playmate line in order to help you choose the one that will suit you most of all. Also our team recommend you to check one more our article that called Best Personal Lunch Cooler Guide. Yes, you are right, this is exactly that famous cooler. We know and appreciate it for quality, convenient form and size. The capacity of this cooler is 16-quart that allows you to put up to 30 cans in your next barbecue or picnic. This cooler has already for more than three decades had incredible popularity and is one of the most selling options among all coolers. But take into account that this cooler has got its popularity quite deservingly, together with unique design it has very good characteristics too. It is equipped with durable body made of strong polyethylene, has a convenient push button swivel lid and of durable molded-in handle for easy transportation. This cooler doesn’t have such tremendous duration of ice retention period as some other famous coolers, but it will hold an ice for a day or a little bit less. The Igloo Playmate Elite Cooler has not been created for using for a week or more, it has been manufactured for Wednesday party in the backyard or for barbecue with your friends. For these purposes this option will fit perfectly but if you want a cooler for several-days trips or long camping you may be disappointed. Check the price and read customer reviews on Amazon right here. The next participant of our list is Playmate Elite MaxCold. This premium-class cooler has the same measures and characteristics as the Playmate Elite cooler, the only thing that differs these two options is their ice retention period. 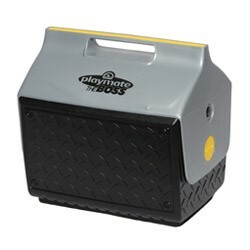 Playmate Elite MaxCold cooler can provide you with longer duration of ice retention. In fact this cooler is the leader in this lineup when we speaking about ice-retention terms. This distinctive feature is caused by the additional insulation that helps to hold an ice inside the cooler for more than a day with any weather conditions. Pay your attention on the price of this cooler, it is almost the same as the previous model has. Thus if you are choosing among these two options, of course it will be better to purchase this one because of the same price but longer ice retention term. This option of Igloo coolers lineup is created for real men. Each detail in its design makes think about something strong, stylish and durable. The main distinctive feature of this cooler is its design as you have already noticed of course. Body of the Igloo Boss is made of heavy-duty plastic with the unique faux design of diamond plate. The exterior design of this cooler makes it luxurious and strong at the same time. Beside such interesting design the Igloo Boss has the same characteristics as other representatives of Igloo lineup. It is also equipped with the push-button swivel lid, molded-in handle and traditional tent-top design. The measures of this cooler are 14.5” x 10.5” x 13.6” that will be more than enough for your beverages and food. The capacity of the Igloo Boss is 16-quart. With the Igloo Playmate Boss cooler you will definitely notice the jealous glances of your colleagues at work and delighted glances from girls. The next representative of our list of TOP Igloo coolers is a younger brother of the Igloo Playmate Elite cooler that was at #1 in our chart. With the capacity only of 4-quart this is very convenient and handy cooler that you can easily take everywhere without any efforts. You can put six cans and some food inside it that will be enough for you and your friend for a lunch. Having the same characteristics as the Igloo Playmate Elite cooler this cooler is a very good and quality option to take it to college, school or work as a lunch box. The measures of this cooler are 9.84” x 9.84” x 6.69”. And of course the Igloo Playmate Mini cooler has the world famous design that includes push-button lid, single-piece molded handle and such integral part as traditional tent-top design. The next cooler in our list occupy the middle position between the 16-quart Playmate Elite cooler and 4-quart Playmate Mini cooler. The capacity of the Igloo Playmate Pal is 7-quarts that make you able to put up to 12 cans inside it. This cooler with “middle” capacity is a perfect choice for one person. It will fit for everyday using as the lunch box or you can take it to romantic date on the beach where you can put bottle of wine and food for two people. 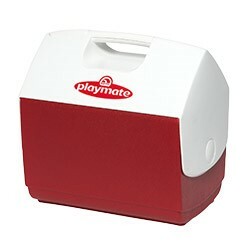 During last several years the Igloo Playmate Pal cooler has achieved the great popularity among users. 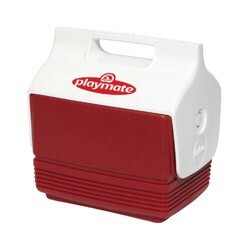 Nowadays the demand on this cooler is higher than even on the traditional 16-quart Playmate Elite cooler. A great option for frequent using with highest quality characteristics – this is the short definition of the Igloo Playmate Pal cooler. Finally we have achieved the soft coolers. The last cooler in our least of all representatives of Igloo Playmate lineup is the Gripper 16 which is the soft cooler namely the soft version of such popular cooler as the traditional #1 cooler in our least. The soft Gripper 16 is just the more convenient option of the Playmate Elite that is more comfortable to carry on your shoulder. This cooler has more distinctive features than other previously mentioned variants. It has very convenient outer pockets, zipper lid and special dual-compartment storage inside. The interior part of this cooler is made of highest-quality antimicrobial PVE liner that is leak-resistant. You shouldn’t worry when you spill some beverages inside your cooler, with such liner it is easily cleaned without any extra efforts. Also this model can provide you with 25% more insulation in comparison with other options in Igloo Playmate lineup. In fact it is an ideal launch box or not very large cooler for picnic. In this article we will make a short conclusion because all that you should know about these coolers is placed in only one word and this word is value. Best combination of price and quality. No more explanations and over-persuading, only your choice. RIGHT choice. 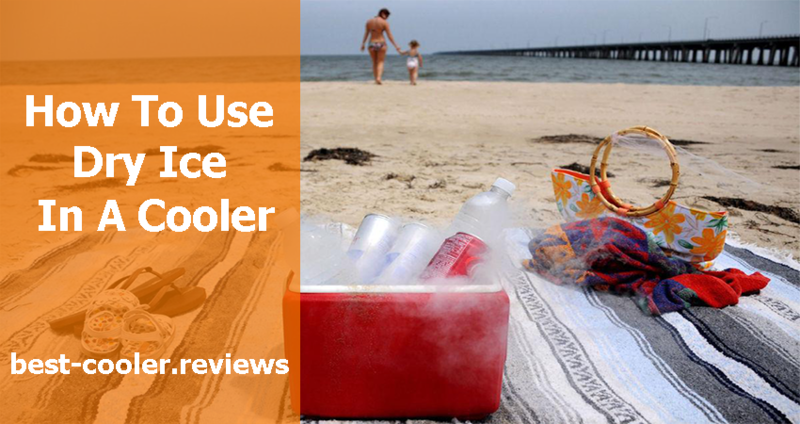 For more info you can go to the next links and read our Igloo Coolers guide and post on small coolers.